Next spring, our youngest of five will be Confirmed in the Church! With First Eucharist happening the same day, we’ll have nudged all of our birdies through all the Sacraments of Initiation that spring day in the future. To add to that, we just learned on Monday of the appointment of our new bishop, Bishop-elect Folda. He’ll be in place by then and will confirm Nicholas. How exciting to realize our little guy will be among the first crop of confirmands of Bishop Folda! With all this lining up, I am so pleased to have a copy of my friend Donna-Marie Cooper O’Boyle’s new book geared toward those who are taking this big step in life. Because our diocese started confirming children in third grade, beginning with our oldest son’s group, we have had a lack of resources in preparing them. Certainly, we’ve had what has been needed to teach them what is necessary, but we’ve been in ground-breaking territory in our diocese, so anything additional is so helpful. 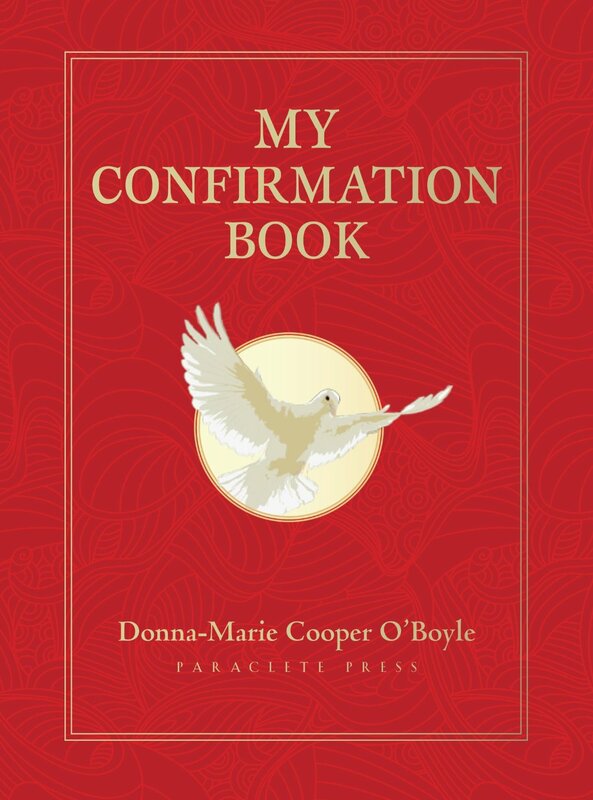 Donna-Marie’s “My Confirmation Book,” by Paraclete Press, is beautiful from the outside-in and in reverse. The cover is gorgeous and in my (and the Holy Spirit’s) favorite color, red. The dove representing the Holy Spirit is stunning, too. But then you open it up, and the true treasure unfolds. This small, 70-page booklet leads the child through the Seven Gifts of the Holy Spirit one by one, with a Scripture verse, reflections and prayer. The reflections are geared to help the child think of situations that might apply — how a particular gift could play out in his/her life — with thoughtful questions to consider. I’m already imagining going through these little chapters and having meaningful discussions with Nick about how Confirmation is going to change his life, and in what ways it’s going to strengthen his spiritual resolve. This will be a wonderful addition to the resources our parish provides. With this little red book in hand, the Spirit is going to be moving in a new and vibrant way in the lives of these young ones. This will be a beautiful keepsake for my son next year, and I hope for many others as well. For more of Donna-Marie’s good work, visit her website.